What do you get when you pair a powerhouse event host, a celebrity chef, and a state of the art culinary venue over Halloween weekend? HELL NIGHT. The setting of Fairborn, Ohio was chosen for its history of celebrating Halloween in a big way. Spark Fairborn is a newly built, lavish co-working space and kitchen incubator nestled in the heart of Main Street. This is more than a food event. This will be a food experience. 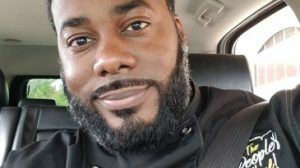 If you like spicy food, celebrity Chef Anthony Head, also known as “The People’s Chef” is about to make your nightmares come true. Based off of Dante’s Inferno, the menu will consist of nine “Levels of Hell”, tapas which will leave you in tears from pleasure and pain. The event will also feature dance music, lights, ghoulish entertainment, and contests throughout the evening. 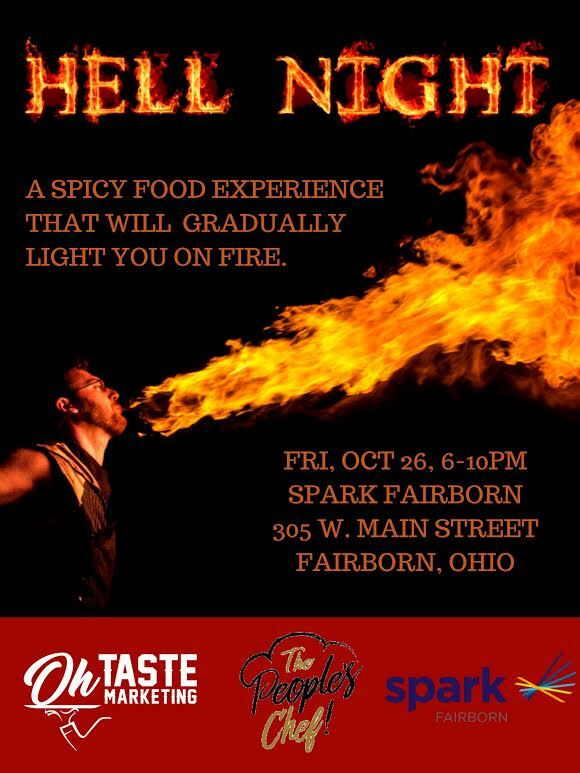 Hell Night will also be a chance to crown a winner of the Hot as Hell Spicy Food eating contest. Anyone can join (age 21+), but only the first ten entries online will be accepted. Safety waivers will need to be signed the day of the contest. An award (to be determined) will also be given for Best Costume if patrons choose to participate. Tickets are $45 per person or $65 for VIP tickets that include one free drink ticket and a swag bag as your momento of the hellish night of gluttony. Tickets or entry into the Spicy food eating contest can be reserved online.